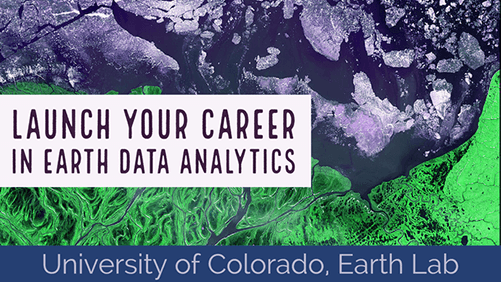 Welcome to Day Four of the Earth Analytics Bootcamp! Today, you will learn about a commonly used data structure in Python for scientific data: numpy arrays. You will write Python code to import text data (.txt and .csv) as numpy arrays and to manipulate, summarize, and plot data in numpy arrays. Today’s lessons provide information that you need to begin homework 2. In the lessons, you will use Python in Jupyter Notebook to work with numpy arrays. Fork and git clone today’s files from https://github.com/earthlab-education/ea-bootcamp-day-4 to the earth-analytics-bootcamp directory under your home directory. If needed, refer to the lesson on Get Files from Github.com. Important: Complete today’s lessons and hands-on activities (listed above) BEFORE beginning Homework 2. The second homework (Homework 2) is due Tuesday, August 14th at 8:00 AM (U.S. Mountain Daylight Time). See this link to convert the due date/time to your local time.